Bajre ki roti is made a lot in Rajasthan. They eat it with a piece of gur and it is liberally smeared with pure ghee. Initially you may find it difficult to make bajre ki roti by patting between your palms so I have shown an easier way by using polythene bag or plastic sheets. This way even a novice can make bajre ki roti. 1. Mix bajra atta with salt. Add warm water little by little to knead bajra flour into medium soft dough. There is no need to knead the dough too much. 2. Take a ball from the dough, wet your palms and pat this ball between your palms to make 4-5 inch roti. OR alternately tear a polythene bag into 2. Place 1 half on the rolling surface and place the ball on it. Cover it with the 2nd half of polythene bag. 3. 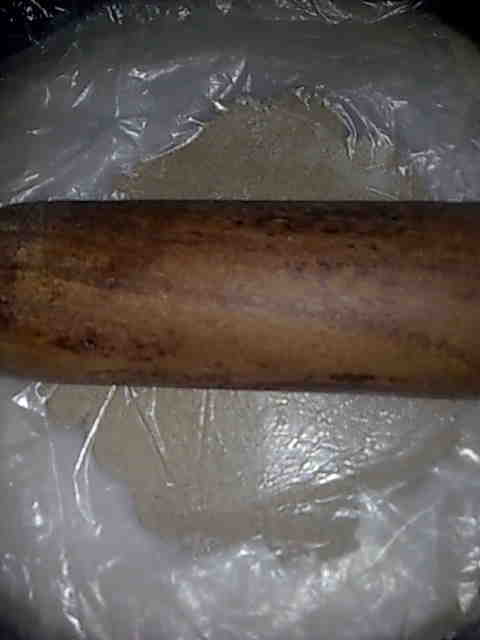 Roll it into as thin round as you can. Remove the above polythene, take the roti on your right hand removing from the lower polythene. 4. Place it on a hot non-stick griddle (tava). Cook bajre ki roti from both sides till browned. 5. Remove it from the tava and smear it with ghee. 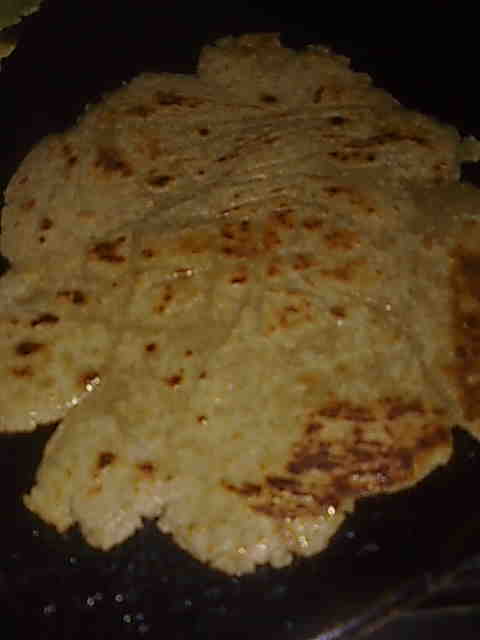 Serve bajre ki roti hot with some gur (jaggery) and vegetable dish.